Pam Vinje’s Small Screen Producer interactive digital media marketing agency develops targeted, branded, content marketing strategies for the Pool, Spa & Hot Tub industry. We connect your brand to prospective dealers and consumers through marketing solutions that are not only searchable and socially shareable but engaging. See how interactive websites, video and social media marketing, along with mobile and iPad friendly sales presentations can take your company’s online marketing strategy to the next level. Click here for Marketing Tools. Analyzing your strengths and weaknesses is the only way to truly understand your marketing needs. Gain insight into your online marketing strategies and brand influence with our Marketing Report, or learn where your company stands with our Search Engine Optimization Report. 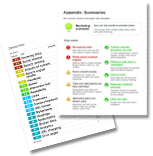 Download your custom report today.